Few parts of America have been as badly hit by the global economic crisis as California, where Governor Arnold Schwarzenegger has been forced to slash state budgets to compensate for a $24 billion shortfall. Among the items on the chopping block were 100 California state parks -- including Fort Ross, a 19th-century settlement on the Pacific coast just north of San Francisco that was established by a group of hunters and traders from Russia. The fort, whose name is derived from "Rossiya," was ultimately spared closure, when California announced on September 25 it would keep the parks open. But the weeks before the decision saw a flurry of diplomatic activity, with Russian officials lobbying for Fort Ross not to be closed. Speaking on the sidelines of last week's UN General Assembly, Russian Foreign Minister Sergei Lavrov called for Fort Ross to be preserved as a reminder that the United States and Russia enjoyed warm relations long before the start of the Cold War. The cemetery at Fort Ross. "I would like to ask our business community to help save this unique monument to the Russian participation in the development of America and the symbol of the long-standing Russian-American relations," Lavrov said. "I can assure you that the Russian government is prepared to support this endeavor, and President [Dmitry] Medvedev, to whom I talked about this issue, supported it strongly." 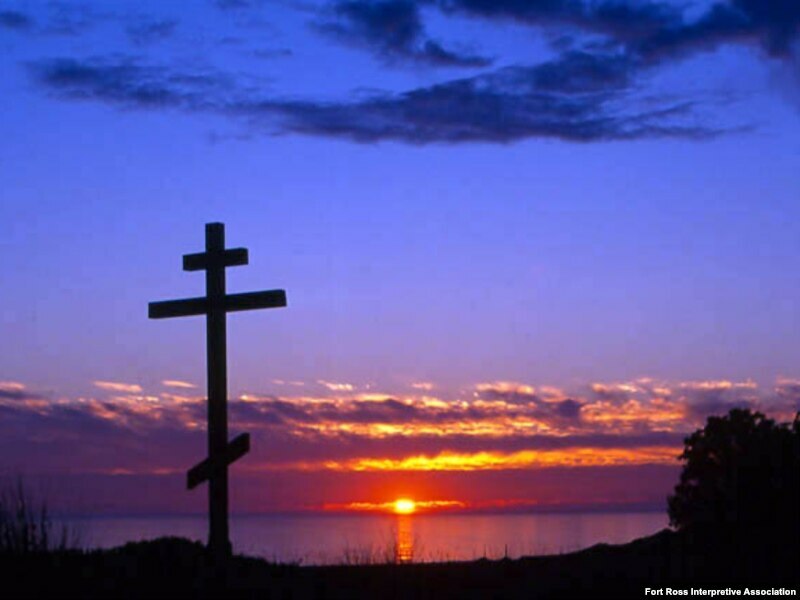 Fort Ross was founded in 1812 and functioned for 30 years as Russia's southernmost settlement on American soil, supplying food and otter-fur pelts to Russian colonists in Alaska. The grounds, which have been designated a U.S. national historic landmark, feature traditional wooden-beam houses and a Russian Orthodox Church modeled on those built by the fort's settlers. Only one original building -- a wooden home belonging to the fort's last manager, Aleksandr Rotchev -- remains on the premises. The site is a source of fascination for many Russians. Lyn Kalani, who heads the Fort Ross Interpretive Association, a nonprofit organization working to preserve the park, says the grounds have been visited frequently by the Russian media since the threatened closure was announced. "We are working with Russian institutions on several projects," Kalani said. "One is the research project with the Russian State Naval Archive. The other one is making a house museum in the Russian-built Rotchev House, which is the only original structure remaining from the Russian times here." 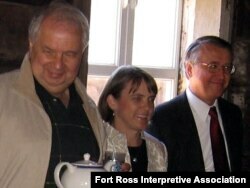 Russian ambassador to the U.S. Sergei Kislyak (left) and Consul General Vladimir Vinokurov visited the fort in August. 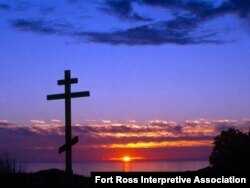 Although Fort Ross has been spared closure, it is facing severe budget cuts. The park's annual revenues come to $200,000 -- just one-fifth of its $1-million operating budget. With the state no longer able to support the park, Fort Ross supporters are looking for funding elsewhere -- including Russia. The drive to save the park may be a rare instance where Russian intervention in U.S. domestic affairs may actually be welcome. Jeff Macedo, the deputy press secretary for Schwarzenegger, said California law does not prohibit state parks from looking abroad for private or state funding. "The Russian ambassador came out to discuss with our parks department the importance of Fort Ross to the Russian people and the history behind it," he said. "And then the governor and the ambassador also exchanged letters regarding the importance of the park." Following a visit to Fort Ross in late August, Kisylak stopped short of saying whether Russia would commit state funds to help save the park. 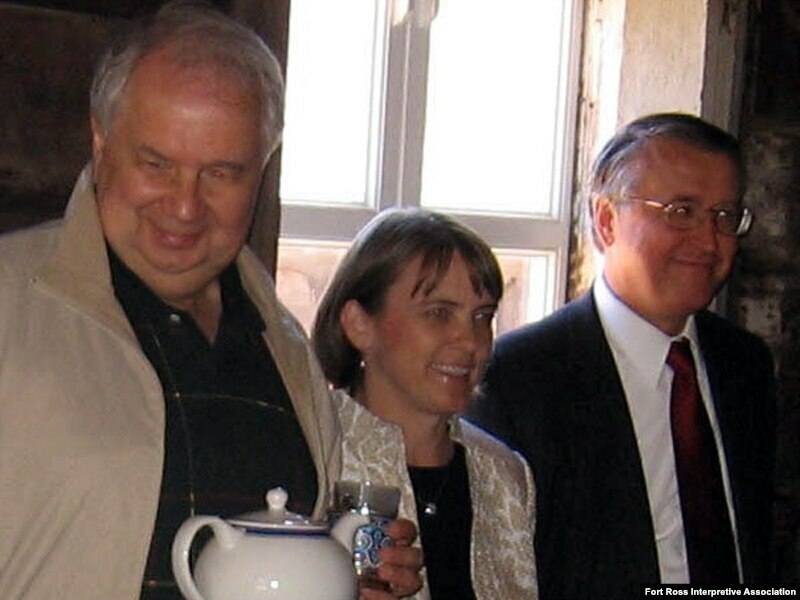 He expressed confidence, however, that benefactors could be found to help maintain California's first Russian settlement.